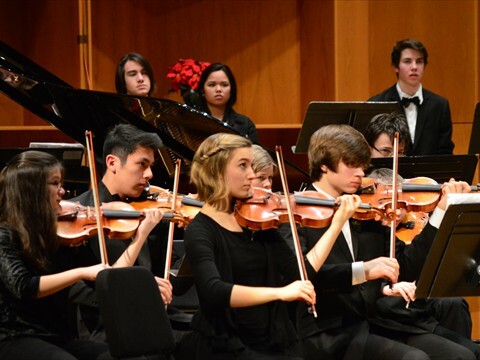 The Fairbanks Youth Orchestra was started by Gordon Wright and Inga-Lisa Wright in 1970 with 18 string players. It is a non-profit organization under the auspices of the Fairbanks Symphony Association. 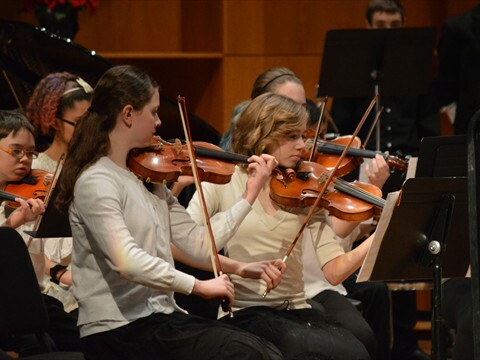 Four youth ensembles make up the Fairbanks Youth Orchestras: Wind Ensemble, String Orchestra, Concert Orchestra & Youth Symphony. Rehearsals and final orchestra concerts are on the University of Alaska Fairbanks campus, in the Fine Arts Complex. No rehearsal if at 8 AM Saturday morning the temperature is -40 F or colder. "When I first auditioned I felt nervous but confident. I had practiced it a lot and was ready for the audition. I was nervous about the sight-reading part, though." "It is so much fun! Also I learn about music and can play cool pieces." "It's an orchestra that really hones your abilities as a musician and helps you play harder music." "I like playing with the orchestra because it is very good music and it makes me practice more." "It was really amazing to travel to Europe and have host families, see castles, and play with different youth orchestras around the world."